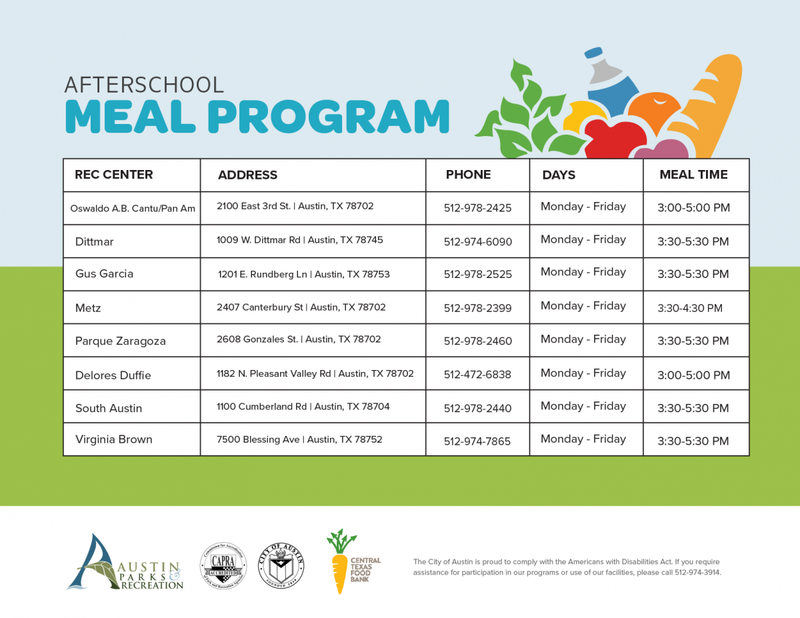 The Austin Parks and Recreation Department offers after school programs for the community that foster youth development in a safe and caring environment. Our goal is to create opportunities for youth ages 5-12 to engage in critical thinking and exercise decision-making skills. The four core components of our after school programs include a healthy snack, active play, enrichment and homework help.